Should the World Be Worried About China’s Economy? Recently, influential voices have been countering pessimistic views on China’s economy. Who’s right? As in the past, in the aftermath of the irrational overreaction to China’s stock market crash in recent weeks, experts have come out to soothe nervous investors by offering big picture stories. One such voice is Nicholas R. Lardy, the author of Markets Over Mao: The Rise of Private Business in China and a senior fellow at the Peterson Institute for International Economics. Another is Henry Kissinger, the former U.S. secretary of state who was responsible for opening China’s door to the West in the 1970s. Their message is the same — there should be no worries about China’s economy — but their stories are different. 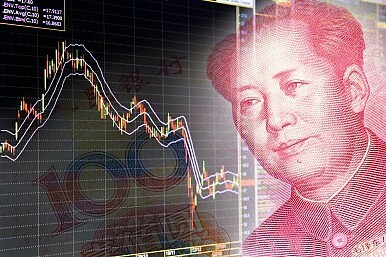 In an op-ed article published in the New York Times on August 26, 2015, Lardy, one of the best economists on China in the past three decades, offered a cool-headed analysis based on “hard” data. In his view, those who believe that China is in a financial and economic meltdown are simply wrong. This is because China’s economy, as the “facts” show, is not slowing significantly from the 7 percent growth rate reported by the Chinese government. The problem is that China’s statistics are not always consistent and reliable. China’s steel production, for instance, was reported to be 779.04 megatons for 2013 and 822.27 megatons for 2014, but the growth of steel production in 2014 over 2013 was said to be 0.9 percent (mathematically, the outcome, however, should be 5.6 percent instead). The 0.9 percent figure was obtained by adjusting the steel production for 2013 from 779.04 megatons to 815.36 megatons. That’s an adjustment of 4.7 percent, or 36.32 megatons (which is more than the total steel production of Turkey — the seventh largest producer in the world — in that year). China’s statistics are so notoriously flawed that even Chinese leaders themselves do not have much confidence in them. It is well known that Premier Li Keqiang had to come up with different ways to assess the status of China’s economy. Instead of the official GDP numbers published by the National Statistics Bureau of China, he used other indicators such as the railway cargo volume, electricity consumption, and loans disbursed by banks. These indicators are now collectively known as the Li Keqiang index. Most significantly, it seems that Chinese leaders have been much less optimistic about China’s economy than both Lardy and Kissinger. For an economy slowing down from 7.4 percent in 2014 to about 7.0 percent in 2015, the Chinese government has acted as if the world is coming to an end. In the short period of nine months from November 22, 2014 to August 25, 2015, the People’s Bank of China (the central bank) cut interest rates by a quarter point five times. Thus, we have no need to worry about China’s economy — that is the responsibility of the Chinese political leaders. And judging from their recent actions, they are worried. Record Fall in China's Foreign Exchange Reserves: Cause for Concern? Is the drop in forex reserves a warning sign, or a byproduct of successful economic interventions?